Hard yards comes before the glory! Despite treacherous driving conditions through very deep snow we were committed to travelling deep into the heart of the Rhymny Valley to Gelligaer which lies 6 miles north west of Caerphilly. Accompanied by the legendary Welsh boxing trainer Jimmy Bromfield (pictured right) and Sports Therapist Jo Bromfield it was some trek. 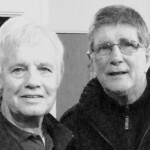 Once there we visited the famous gym run by Dai Gardiner (pictured left) who trained the famous matchstick man Johnny Owen from Merthyr Tydfil back in the late 70’s. Cleverly’s training will be most gruelling and comprehensive and in the seven-week programme every eventuality will be covered. As always, the champion will train as if he is the challenger. Opening discussions took place during the warm-up and The Racing Horse was privy to plans, weaknesses and strategies. It was both fascinating and surreal visualising the fight alongside the primary combatant! Failing against Krasniqi (pictured right) is not an option for Cleverly - it would mean starting all over again! 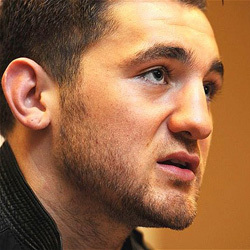 Cleverly recognises that the German based Serbian has worked hard and deserves his shot at the title, and at the same age as himself, will be strong and needs to be stopped. The opponent is a typical one-dimensional German fighter who loves to uppercut and there are unlikely to be any surprises for the champion. 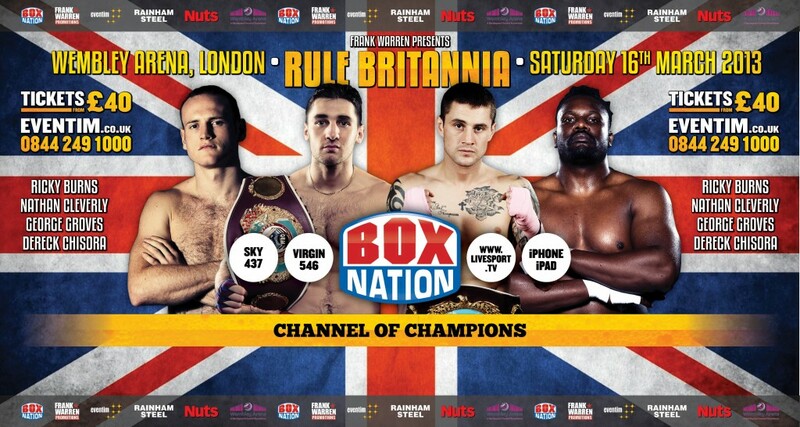 Cleverly is able to mix, change the pattern of the fight and box from any distance. The danger is to underestimate the threat Krasniqi will bring, he punches big and can absorb a shot but Cleverly has speed, good movement and a calm personna. Cleverly will wait to find a gap on the counter where Krasniqi often looks vulnerable when throwing his big shots. The feeling in the home camp, complacency aside, is that their boy and his high output will have a bit too much of everything for Krasniqi. Apart from the fight and victory over Shawn Hawk the American experience was good for Cleverly but we can confirm that all the showbiz baggage and the attached caricature were left in Los Angeles where it belonged. Watching the training, taking place in below-zero temperature in a gym in Gelligaer, illustrated this point quite candidly. His relaxed down-to-earth style also means he will never leave his fight in the dressing room, a place where some boxers do. Cleverly readily accepts this is his key year but the criticism regarding the lack of momentum in his career is regarded as utter nonsense given his age (25) and stage of development. Boxing fans need to be reminded that it has not been long since leaving University. The boxer also recognises that his biggest fights are in front of him. Bernard Hopkins (52-6-2, 32ko), the 47-year-old veteran, will look to break his own record as the oldest fighter to win a world title against Tavoris Cloud (aged 31) at the Barclays Center in Brooklyn on 9 March 2013. In the event of a win he will fight Cleverly. Oscar De La Hoya, who founded the Golden Boy Promotions organisation, in which Hopkins is a partner, claimed the Welsh fighter had earned a shot at the American legend. He said: "Nathan can go far. He is a fan-friendly fighter." The last comment is in stark contrast to the boxing forums in the UK. We asked Nathan how he felt about those negative remarks, he told us: "I am not frustrated or bothered, I never read them, I am happy and comfortable and enjoy being World Champion. I know I have a long time left in the sport so I am not impatient. It will all happen this year or next. Besides, until I get this fight out of the way it is out of my hands." He understands the current mandatory title fight represents the hard yards before the glory beckons. The Racing Horse would like to take this opportunity to applaud the manner in which Cleverly has conducted his behaviour, and not only in our presence - it has been exemplary. We have known the boxer for five years covering all sets of circumstances (including the Bellew saga) and have yet to hear him swear. If only British footballers had an ounce of his restraint and decorum our national game would be in much better shape? Our next visit is planned half way through the training programme in about three weeks and The Racing Horse will update then.